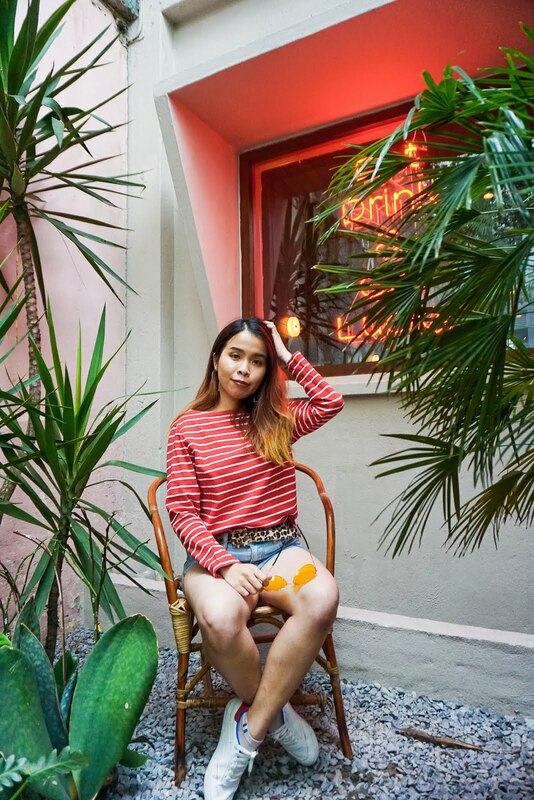 Like others, I use to struggle a lot to find the perfect sunscreen that is suitable for my skin. At the time we don't want to use sunscreen that is too tacky or heavy for our skin. 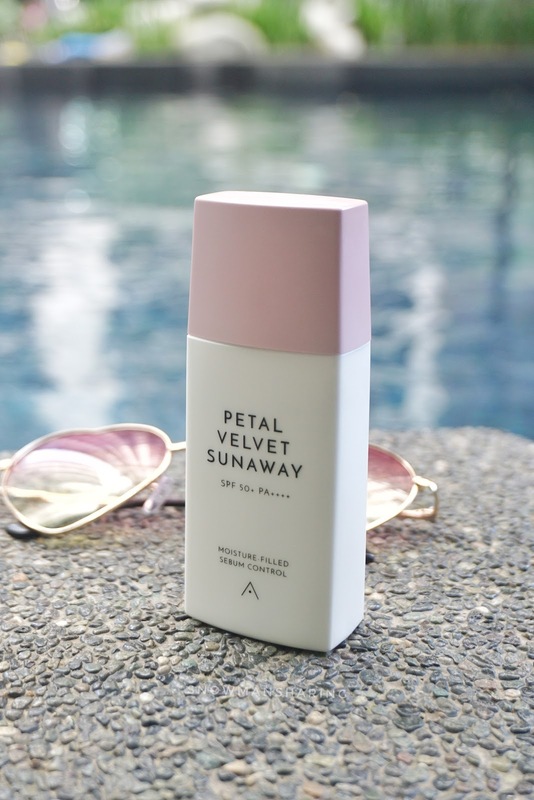 In this post, I am happy to share with you guys about this Petal Velvet Sunaway that is my current favorite. 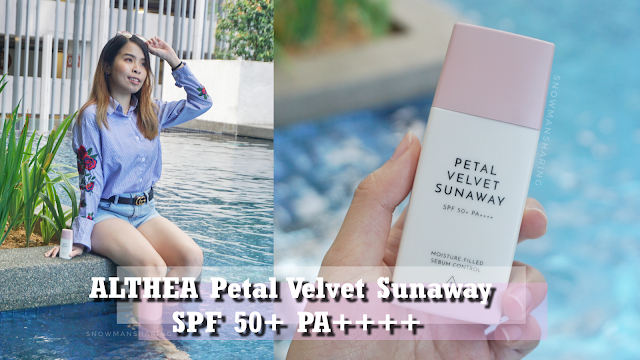 What's so special about ALTHEA Petal Velvet Sunaway SPF 50+ PA++++? Contains Micro Particles that helps absorb sebum and excess oil!! Don't you just hate sunscreen that when you apply on face, you can notice the oil shines on your face. It happens to me for most of the sunscreen that I had tried. 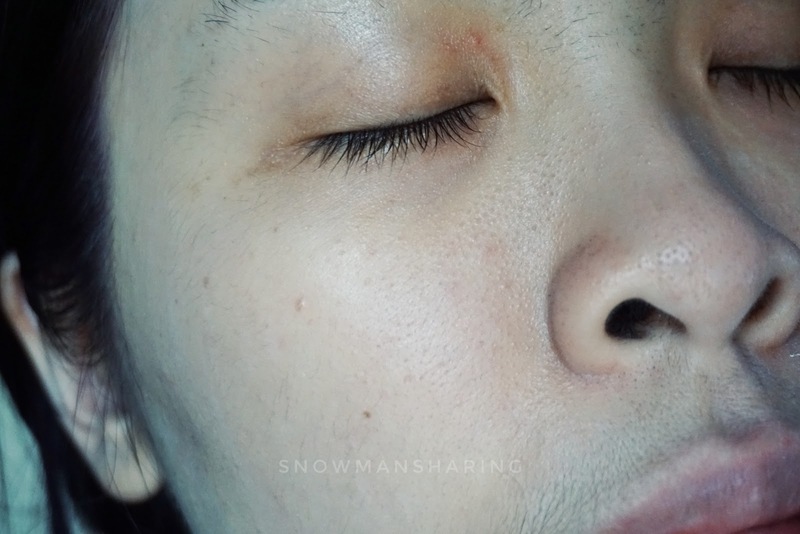 So when I first try out Sunway on my face, I can feel that the product just sink into my skin immediately and absorb all the excess oil and shines on my face. Leave my skin super light and with a velvety finish that is super smooth! For another issue that I think everyone must have been facing, is the white cast of product on your skin when you apply sunscreen. 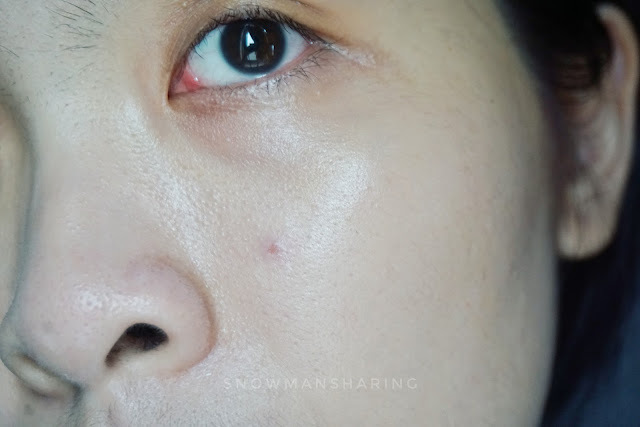 I don't exactly hate it when it tones down my skin or brightens up our skin. But sometimes the white cast will make your appearance looks unattractive or pale too! Using Sunaway you do not have to worry about this issue at all, as it comes in this advanced non-chemical UV filter with a more transparent and light formula. 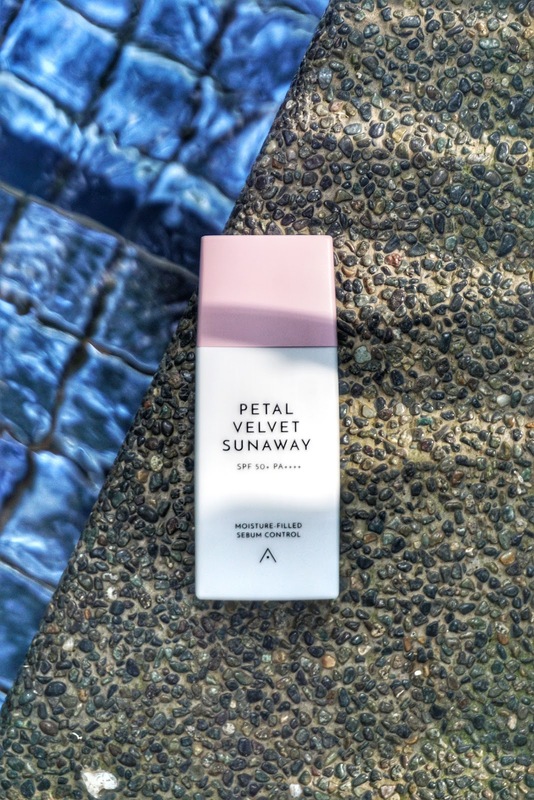 In conclusion, Sunaway contains microparticles that help you achieve oil-free skin but also help locks and provide moisture that our skin needed. Leaving your skin velvety finishes and Petal-like complexion! 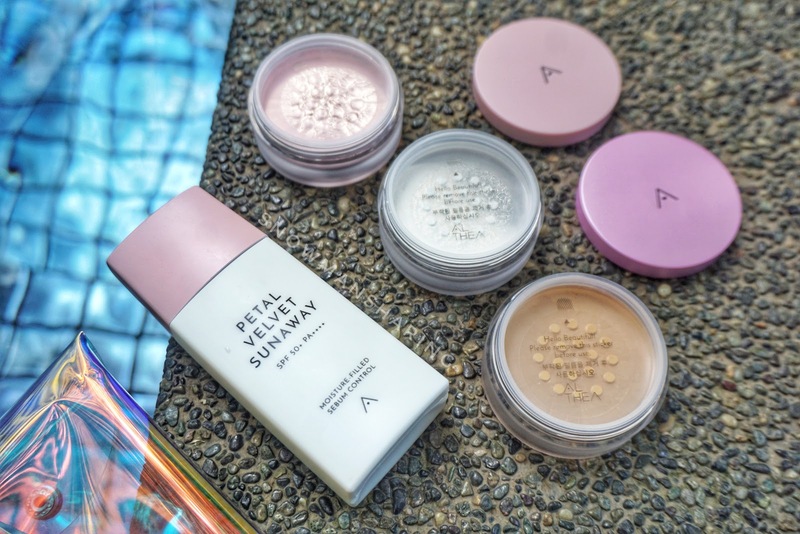 If you afraid that your skin is too oily or shiny after applying any sunscreen, don't forget to use Althea Petal Velvet Powder to set your makeup too. It's been my favorite powder too where it holds and set my makeup the whole day. Check out my review here. 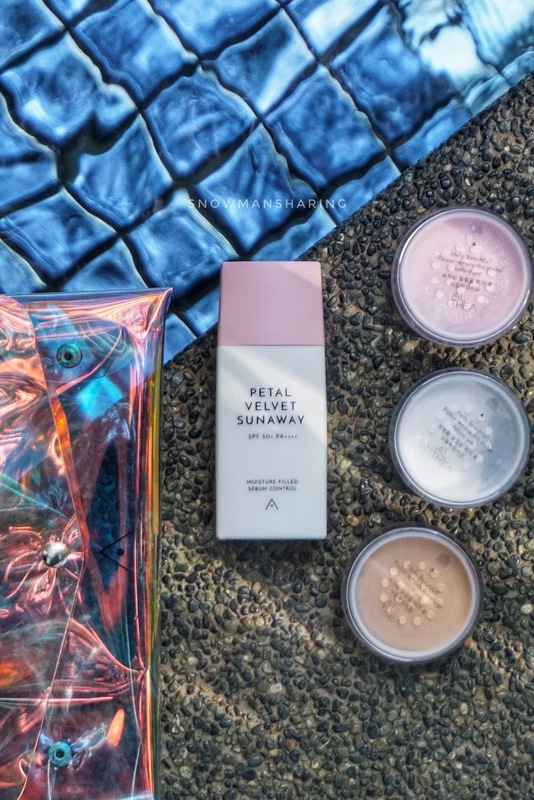 I love this entire Petal set which consists of Sunscreen and Powder. It is best to shake well before you use. 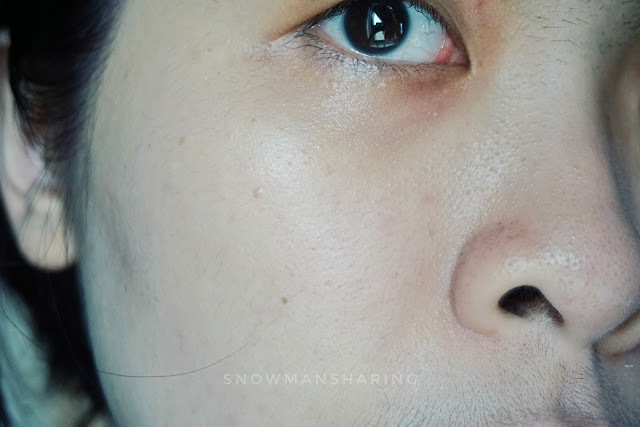 The texture is super smooth and not too creamy when you first squeeze out. It glides easily on the skin without any extra residues too. 2. You don't need to squeeze too much but it is basically is super smooth and easy to get out from the product packaging itself. 3. 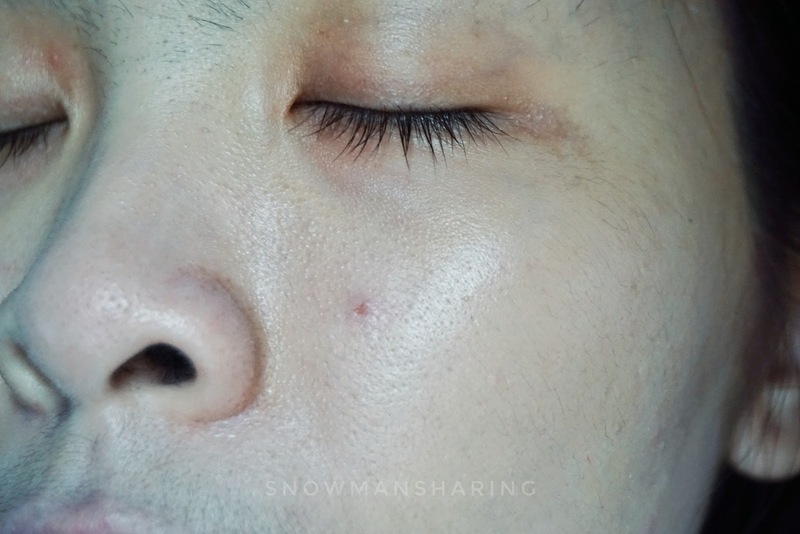 Start with dotted on few areas, both cheeks area, chin and forehead. 4. With gently tapping motion, you apply the product all over your face. I actually took quite a few tests with the whole face putting on a few different brands of sunscreen and another day using the Petal Velvet Sunaway sunscreen. But in the end, I tried to applying half and half on my face. To my surprise, I can see the difference especially the oil shines part. This photos I took immediately after I apply sunscreen during the daytime before I head out. I am really curious how quick Petal Velvet Sunaway absorbs excess oil or just does not produce excess oil like other sunscreen brand does. 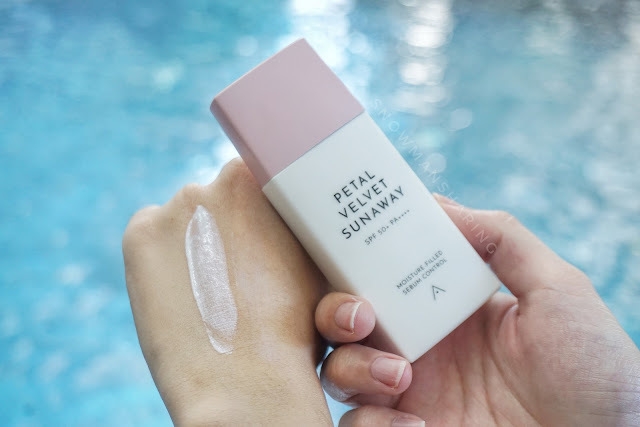 Even the white cast texture, which I had encountered with another sunscreen brand, but Petal Velvet Sunaway just gives the natural velvet healthier looking skin after I apply.